Between 01-08.10.2017., foundation “Baltic Regional fund” organized youth exchange project “DIGITAL ME” which took a place in Riga,Latvia with 31 participants, youngsters and youth leaders from Europe countries: Latvia, Lithuania, Poland, Italy and Macedonia. It is non formal youth organization which is focused in working with youth volunteers between 18-25, with the aim to develop, encourage and support creative ideas with the help of training, projects and consultations. At first, our team from Macedonia, had big challenge to get there, we had to go through 3 cities and finally to arrive in Riga. But it was pretty good for us, because if we didn’t wanted to travel, than why we applied for a project in the Baltic country- Latvia? But in this Erasmus projects something is more interesting than traveling, read something about the youth exchange… “DIGITAL ME” was a project to update and promote reflection on personal and professional competence development opportunities offered by the social networks, digital tools and potential risks with consequences of using them wrong or do not know how to use them. Through non-formal methods and by using different digital tools the youngsters presented their skills and they promoted their integration into the labor market. Lots of information were updated about safety and accountability on the Internet, there were improved knowledge of our own self-image creation in social networks, also ho we should aware understanding about importance of an information which we are publishing on our private and social life. The project resulted with a list of digital tools for work, education and personal development, also with lots of apps with different opportunities for youth. As a team from Volunteer Center Skopje, we participated on this project with a lot of knowledge in this field, because of our photography workshops in our organization. We prepared a video to present our country and our culture in order to be close with the topic of this youth exchange. But also we found the difference between social media and social network, learn some practical things about media and applications that we can use for different needs. These are the skills, the experience and the knowledge gained there. The workshops, activities and games were the main daily habits for one week, helped us to make new friendship with other participants in the project. No matter from where we are, what nationalities we have, traditions and language, we made a united community on this youth exchange. As a mark at the end, we made a short videos, with the main topic ‘what is in our memories from this project’ or ‘thanks to Erasmus + for this opportunity’. 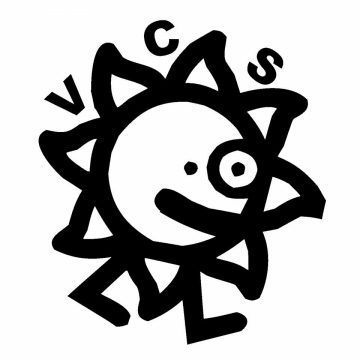 If you are interested about this videos, just visit us at VCS, but don’t forget to bring your positive energy and desire to participate in our ‘DIGITAL’ meetings.